Admission by donation at the door. Suggested $8; any amount is gratefully appreciated. Presented by Centralia College East and Fire Mountain Arts Council, the event features the Eatonville Performance Group from Eatonville Dance Center and Bennyroyce Dance Productions, a NYC-based contemporary dance production team that creates and produces innovative, visionary, and compelling contemporary dance. For more information, contact CCEast, 360-496-5022 or visit www.bennyroyce.com and www.eatonvilledancecenter.com. Open seating. 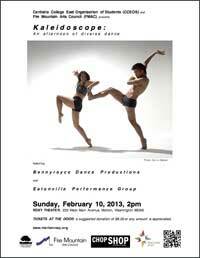 March 3 at 3:00 p.m.
Tickets: $15 for the show, or $30 for the show followed by dinner at The Bean Tree. 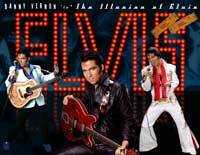 Danny Vernon re-creates the excitement of Elvis on stage, true to the integrity of Elvis the man and his music. April 21 at 2:00 p.m. 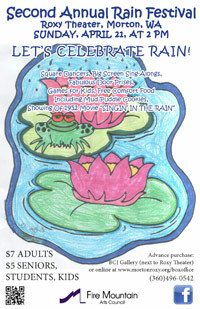 Enjoy square dancers, large screen sing-alongs, and games for kids – all about rain! Draw for fabulous rain-themed door prizes, taste mud-puddle cookies, and stay for the family-oriented 1952 movie: “Singin’ in the Rain.” Reserved seating. Enjoy an evening with this engaging Northwest author. Robery Michael Pyle’s latest book, The Tangled Bank, is a collection of essays written for Orion Magazine. Pyle is a longtime resident of Southwest Washington. His book, Sky Time in Greyâ€™s River, is an account of his adopted hometown along the Columbia River. 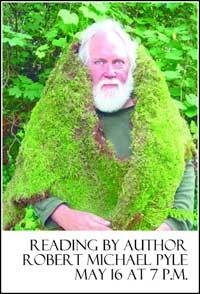 He is also author of Wintergreen, a detailed story about the Willapa Hills for which he won the coveted John Burroughs Medal for nature writing. Where Bigfoot Walks is a comprehensive book about the legends surrounding our native Sasquatch and much of it takes place in and around the Gifford Pinchot National Forest. Books will be available for signing and purchase. 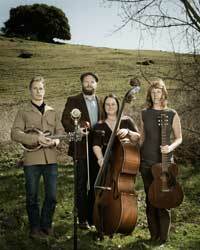 May 30, 2013 at 7:00 p.m.
Live at the Tiller Arts Center, watch a stellar performance by the FogHorn Stringband! They play the old way, the way youâ€™d have heard stringbands play on Southern radio stations back in the 1930s. They donâ€™t fancy up the music to make it more modern, instead they reach into the heart of the songs, pulling out the deep emotions that made them so enduring in the first place. For more information, contact Eric Greiter at 260-496-8975 and visit FogHornStringband.com. October 27 at 4:00 p.m.
Choirs from area churches, sing-alongs, and soloist Jacob Weber. Sponsored by The East County Journal. October 29, 30 & 31 at 6:00 p.m.
Cross the street and descend into to bowels of the Bean Tree basement. With good fortune you will survive the five chambers of horror, each designed to terrify. December 11-13, 11 a.m. – 4 p.m. & December 14, 11 a.m. – 7 p.m. Experience the magic as you bid on your favorite tree or wreath, creatively decorated by generous donors to benefit the Barbara Clevenger Johnson Gallery. December 14, 2:00 – 8:30 p.m. The Roxy hosts hayrides, living nativity, entertainment, and a holiday movie. Presents topics based on a theme designated by Phi Theta Kappa, the International Honor Society of the Two Year College. The college brings experts from our staff, our community, and beyond to speak on topics that we hope will interest and entertain our students and the public. 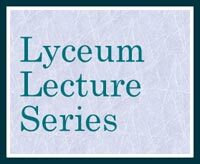 The lecture series may be taken for credit or non-credit ($25). 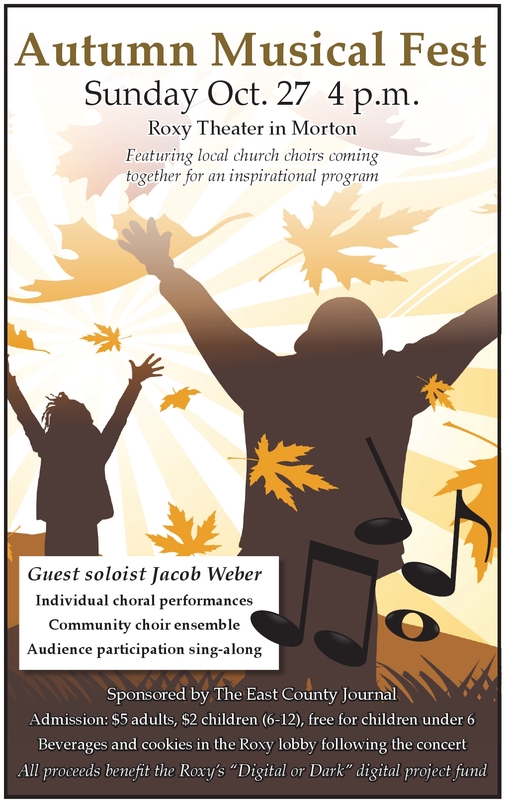 For more information, or to register call (360) 496-5022. Drop in for one lecture or sign up for the class!